The problems that can occur with overuse of antibiotics for dental infections and why a responsible approach to prescribing is urged. The Faculty of General Dental Practice UK (FGDP UK) released a press release stating that dental practitioners should only consider the use of antibiotics when the drainage of an acute dental infection cannot be achieved. It follows that dental practitioners have a duty to ensure that they offer patients the requisite treatment, rather than simply prescribing antibiotics. For instance, a dentist treating a patient who is suffering with a dental abscess should aim to drain the abscess rather than prescribing antibiotics. and in such circumstances are a necessary and effective form of treatment. Overusing antibiotics for dental infections and prescribing them unnecessarily can lead to antibiotic resistance, where the antibiotics will no longer be effective and it becomes more difficult to treat an infection. Failure to complete a course of antibiotics. Not taking the antibiotics at regular intervals. The FGDP (UK) describes antibiotic resistance as a worldwide problem and reports that Dentists working in the NHS in England prescribe nearly 10% of all oral antimicrobials in the primary care setting. It is hoped that by following guidelines and adhering to providing treatment, antibiotic resistance can be reduced. 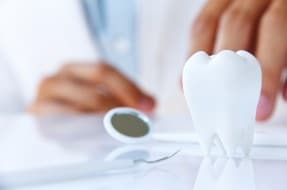 The Dental Negligence Team, see a number of cases where clients have been prescribed antibiotics for dental infections, but the treating dentist has failed to try and diagnose the cause of the problem and treat this appropriately. This can lead to a delay in a patient’s recovery, as the cause of the infection has not been treated and some may find they suffer repeat infections as a result. If you or your family have concerns about whether you have been over prescribed antibiotics and suffered as a result, we would advise you to firstly seek advice from your dentist and/ or another dental professional.